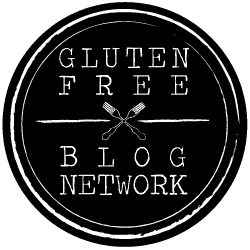 So you’re interested in starting a food blog?! Every now and then I receive questions asking how I created my blog, what I’ve implemented to ensure it’s a user friendly site for all who visit, and what applications I use. Here is a list of those resources, tools, and applications that I have personally found helpful in creating a blog. This list may occasionally grow and/or evolve as I personally discover more awesome resources that I think are valuable and worthwhile to blogging. Keep in mind as you read through my resource and application suggestions that what may work for me may not be what works best for you or jives with the vibe you are trying to create and portray on your blog. Also, ask yourself before you dive in and click the on switch for your blog, why you are interested in beginning a blog in the first place. Many former (and present) bloggers can attest that blogging, specifically food blogging, is not a get rich quick scheme. It takes a lot of grit, creativity, and a willingness to continually learn and put in a whole lot of hard work before you will see fruit from your labor. But if you are up to the challenge, you are passionate about the vision and message behind your blog, and you are able to invest a little money on the front end to set up a smooth running, functioning blog, you will be well on your way to joining in on the awesome opportunities and adventure that awaits you within the industry of food blogging. Disclaimer: Please note that some of the links below are affiliate links and I will earn a commission if you purchase through those links. I personally have used and/or currently use all of the resources and applications listed below for my blog and recommend them because I have found them to be helpful and valuable. Don’t hesitate to reach out and let me know if you have any questions about anything listed below! 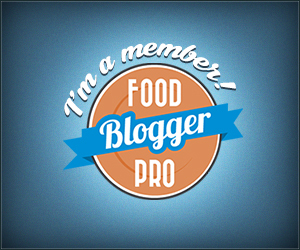 Food Blogger Pro – Before you do ANYTHING, sign up to be a member of the Food Blogger Pro community! 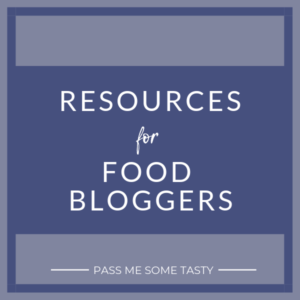 The team over at FBP has provided a HUGE wealth of resources for food bloggers including 350+ instructional videos, friendly advice and blogging support, as well as an opportunity to be a part of a community of food bloggers all striving to grow their businesses. If you decide to join the FBP community, be sure to check out their Coupons and Discounts page to save yourself a little money! Take your time in naming your blog. Choose a name that you really, really love. If you are committed to blogging for the long haul, your blog name will be more than just a name. It will be your brand. It will be the way you give relevancy to the purpose of your blog. It may even became a name in which other people and brands identify you (even though it’s obviously not the name you were born with). While Pass Me Some Tasty has always been the name of my blog, I have heard many horror stories of bloggers who decided to change their blog name after they had established an online presence in food blogging. They spent a ton of money on rebranding only to watch a large segment of their hard earned traffic (and in turn their income) plummet! In a sense, it was basically like they were starting over when they decided to switch to a new name. Rebranding happens, but save yourself some time, money, and emotional pain by making sure before you purchase your domain name that it is a name that you REALLY LOVE! And consider adopting a name that is simplistic, catchy, easy to remember, and that sets you apart! Finally, make sure that no one else already owns the name you are thinking of. You definitely don’t want to find yourself in a lawsuit because you committed copyright infringement! Check to see if the idea you have for your blog name has already been taken by doing a blog name check on Domainr.com. Bluehost – I purchased my domain name Pass Me Some Tasty through Bluehost. Bluehost was also my hosting company for the first year of Pass Me Some Tasty. It was super cheap (I signed up for the “Basic” plan) and it got my blog up and running, which is all I really needed when I first decided to take the plunge into blogging. Siteground – After my first year of blogging I decided to switch both my hosting and my domain services to Siteground based on recommendations I received from fellow bloggers. Siteground provided a little more site speed for just a fraction of the cost more than Bluehost. Currently, Siteground manages my domain but I no longer use them for my hosting services. Cloudways – After a couple of years of blogging and experiencing a growth in traffic to my blog, I switched to Cloudways for my hosting services due to their faster page loading speeds. They have provided me with excellent customer support, they offer a free SSL certificate for your website that is easy to install, and a pay-as-you-go option based on the resources your blog consumes. They also create a daily backup of my blog. Having access to a service that provides a saved backup of your blog is SO important! Should something happen or you accidentally crash your blog because you didn’t configure something right (which I have done several times!) you can quickly and easily get your blog back up and running again. I definitely can’t emphasize enough how important it is to make sure you have a service in place before you begin blogging that maintains a backup of your blog. It would be so awful to lose all of your hard work in a split second should something go wrong and you didn’t have a backup to restore your blog. Vaultpress – If your hosting service doesn’t provide automatic site backups, Vaultpress is a powerful security service that provides automated backups. This is the backup service I used until I switched my hosting services to Cloudways. A backup service is a MUST HAVE for every blogger. WordPress.org – So now that you’ve got your domain name picked out, a company to host your site, and a brain full of quality content that you are are ready to share with the world, you need to decide what platform you want to build your website on. There are a number of options out there for building websites but my personal preference is WordPress. WordPress.org is the world’s most popular platform for people serious about blogging, for many reasons that we won’t get into here. You can Google it if you’d like to deep dive into understanding why it’s so awesome. But one benefit of using WordPress to create your blog is that it has a ton of awesome free themes that you can use to create the look you want for your website. However, keep in mind that you get what you pay for. There are a lot of good looking free themes out there but they can come with functional limits. So consider taking some time to draft a layout of what you would like your blog to look like, what kind of functionality you would like it to have, and how you envision someone who is visiting your blog to be able to easily navigate your site and all of your awesome content. Studiopress – If you don’t find a free WordPress theme that functions in the way that you would like, consider spending a little money on a theme with a little more bells and whistles. For Pass Me Some Tasty, I am using the Foodie Pro Theme (child theme) with the Genesis Framework (parent theme). You can learn about the Genesis Framework created by Studiopress here. Studiopress also offers over 60 awesome, well designed child themes to pick from. Check those out here. Fiverr – There are SO many talented and creative people on Fiverr! Need a logo designed for your blog? Help with branding materials? Customized design work? Fiverr is an awesome resource for freelance services for those of us who need an extra hand with a project but don’t want to break the bank when hiring for services that are typically crazy expensive. Feast Design Co. – These are the people who created the Foodie Pro Theme that I use on Pass Me Some Tasty. They also have a selection of many other beautiful, well thought out themes as well as a menu of services available should you need technical support or help setting up or installing one of their themes. Tasty Recipes – Created by the WP Tasty team, this is the WordPress plugin I use to enter my recipes and create those snazzy looking recipe cards. This plugin is designed specifically for food blogs, includes super important behind the scenes coding (JSON-LD structured data) to help your recipes show up in search engines like Google and Pinterest, and has excellent customer support. Tasty Pins – Pinterest is an incredibly powerful visual search engine in how it promotes and drives traffic to blogs. Tasty Pins, another powerful plugin created any WP Tasty, is what I use to optimize my posts for Pinterest, set my Pinterest descriptions, and create that little Pinterest hover button over my images that prompts readers to save my tasty recipe for later. Akismet Anti-Spam – Akismet filters out hundreds of millions of spam comments from the Web every day. It’s absolutely MIND BLOWING how much spam tries to infiltrate Pass Me Some Tasty every day. By adding Akismet to your site you don’t have to worry about spam again. Yes please! Akismet has proven to be an incredibly important and valuable plugin for PMST that has been well worth every penny. Adobe Photoshop & Adobe Lightroom – Photoshop and Lightroom are must have tools for me that I use regularly for my photo editing process. Both of these applications are fairly expensive to buy outright. My recommendation is to join Adobe Creative Cloud’s subscription service which provides unlimited access to Photoshop and Lightroom for $9.99/month under their Photography Plan for Individuals. One benefit of joining the subscription service versus purchasing the application is that you will also receive every application update when Adobe rolls one out. Nutrifox – This is the tool I use to create my nutrition labels. It’s a customizable nutrition label maker that automatically calculates the macro and micro nutrients that are most important to show on a recipe label. It also seamlessly integrates with the Tasty Recipes plugin. Tailwind – A smart scheduler created specifically for Pinterest and Instagram. Tailwind has become one of my favorite blogging tools because it easily simplifies the processes involved in social media marketing and provides me with valuable performance analytics allowing me to track and adjust my marketing strategies. Codeable – As food bloggers, we wear a lot of hats, some of which might be outside of our personal skill sets. While creating a smooth running, functioning blog requires some website development knowledge, the technical backend stuff can feel complex pretty quickly. Codeable provides expert WordPress freelance developers to work on any tech project you might need help with at a fraction of the marketplace cost. They have helped me in a pinch more than once when the techy website stuff was beyond my understanding. Tasty Food Photography by Pinch of Yum – We eat first with our eyes right? Absolutely! Learn how to draw your audience in to your recipes with food photography that actually looks tasty, appetizing, and mouthwatering. 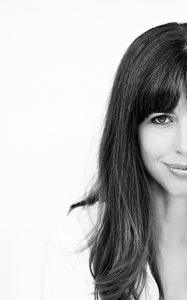 Lindsay Ostrom of Pinch of Yum has compiled all of her food photography tips and tricks in a practical, easy to read guide for those looking to up their food photography game. 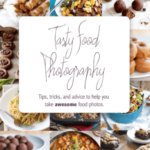 It’s a wonderful resource to help improve your food photography. 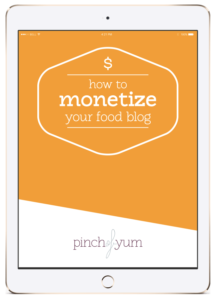 How to Monetize Your Food Blog – Another helpful blogging resource that provides tips on setting up ad networks, making the most out of affiliate programs, and landing those elusive sponsored post gigs. It includes strategies for optimizing your ads and shares detailed instructions on how to set up backfill to maximize your ad revenue. I hope you find these different tools and resources helpful in your blogging journey! If you have questions about any of the resources I mentioned or you are curious about something blogging related that I didn’t mention here let me know in the comments or feel free to send me an email. I will do my best to provide you with a helpful answer or to at least point you in the direction where I think you will receive a helpful answer. 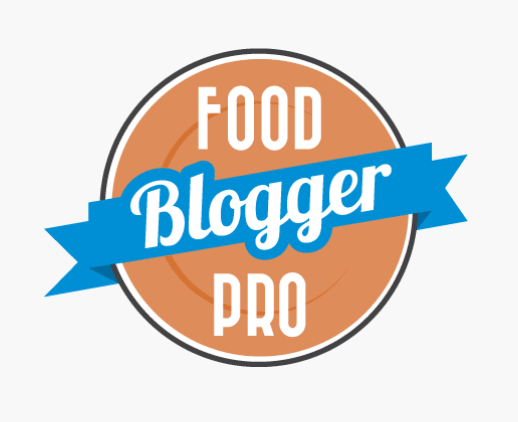 If you decide to become a Food Blogger Pro member, the FBP Community Forum is also a great place to get feedback on all of your blogging questions!